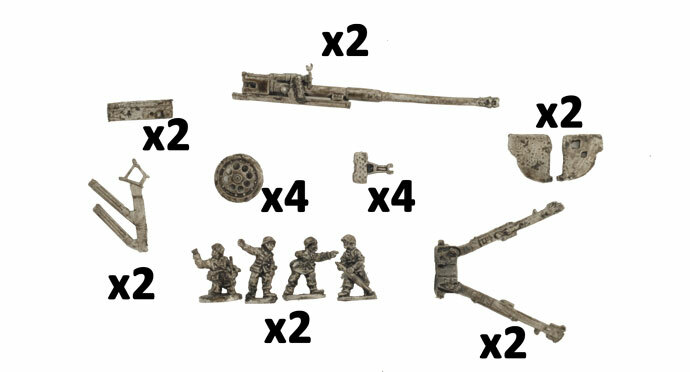 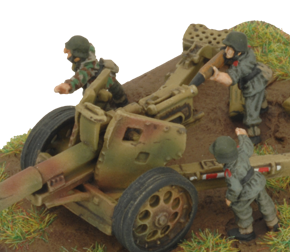 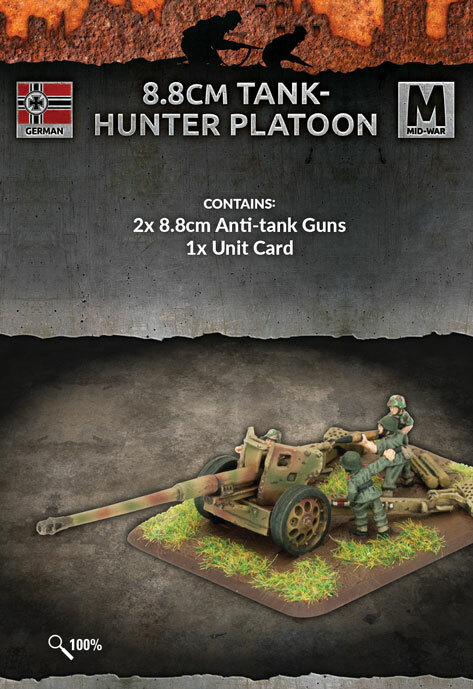 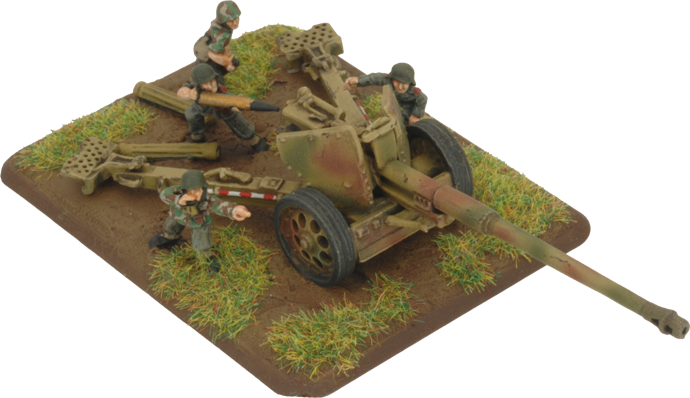 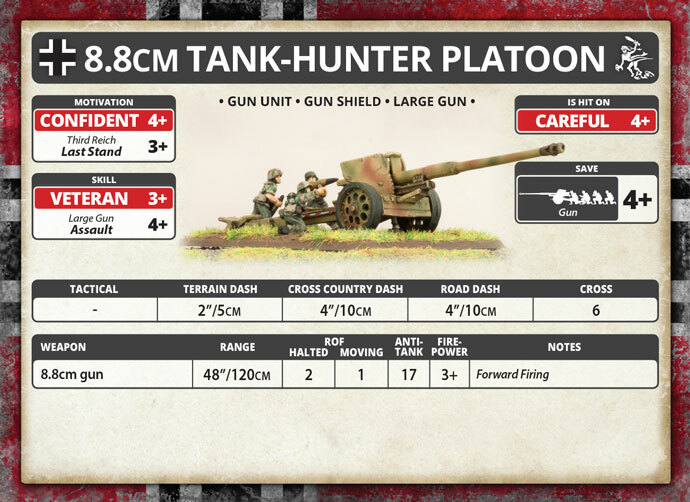 includes two metal 8.8cm Anti-tank Guns and one Unit card. 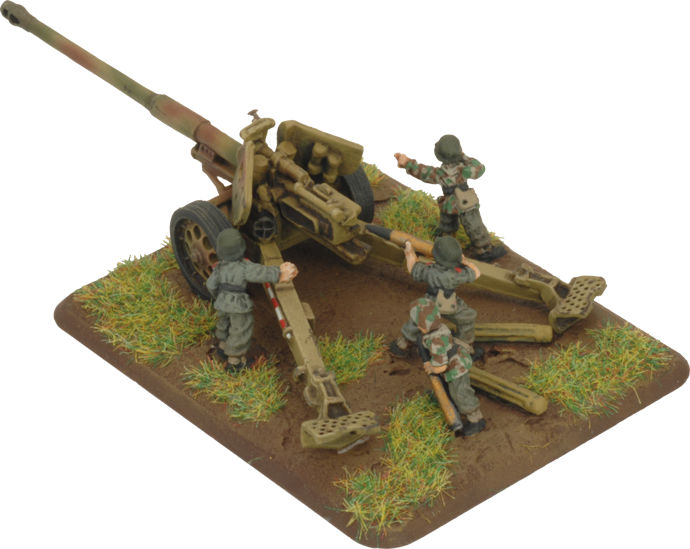 The legacy of the famously versatile 8.8cm FlaK36 anti-aircraft gun on the Eastern Front began with its ability to deal with the heaviest Soviet tanks, such as the KV-1. 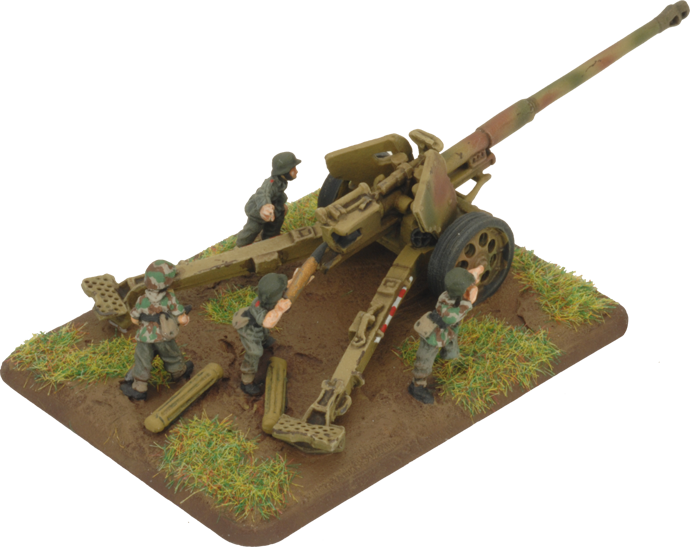 The 8.8cm FlaK36 anti-aircraft gun is accurate out to a range of several kilometres, giving it the ability to knock out tanks beyond the range at which they can reply—High-velocity 8.8cm armour piercing rounds can penetrate any tank in service, and have no difficulty knocking out just about any tank at any range.